The topic we are most interested in is youth dealing with mental illnesses such as depression and anxiety. It would be good to make a website on this topic because it is a very serious issue that is not addressed enough. 10 to 15 percent of teens in the U.S. deal or have dealt with depression, 30 percent of teenagers with depression develop a substance abuse problem, and anxiety affects 25 percent of all teens. Depression also increases a teens risk for attempting suicide by 12 times. Making a website on this issue where teenagers who deal with mental illnesses can turn to for help, will help bring down those numbers and help save a lot of teenagers altogether. This topic is very important to us and actually touches home. This issue personally affects us because one of us is a teenager who struggles with both depression and anxiety. Anxiety and depression problems developed when Anais was 14 years old. 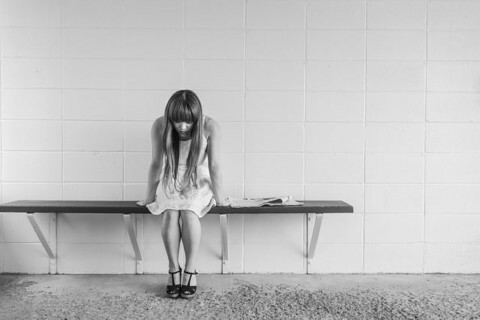 Depression and anxiety affects us teens in a lot of ways, for example it’s two of the reasons why Anais hasn’t been able to finish high school on time. If you aren’t getting any help, depression and anxiety can take over your life for long periods at a time, like it’s happened to Anais before. In these time periods of depression and anxiety she used to become consumed by it and her life would completely cause her to stop going to school, work, and from other responsibilities. Depression isn’t something that you can just get rid of. She had to get help and learn how to fight through her depression phases and strong anxiety. Even so, Anais is now 19 years old and is still dealing with depression and anxiety, but she is now aware of how she can get through these phases. If we could get other teens the help that Anais got, we would love to help. We would like to ask a variety of teens what causes and brings on their depression or anxiety. We would like to ask what emotions they feel in these times of depression or anxiety. We would also like to ask what specifically can people do to help, what helps alleviate their depression and anxiety. Teenagers who are dealing with any type of stress or are feeling depressed and anxious or feeling alone would be interested in using a website like this. This way they would know that they aren’t alone and that there are other people dealing with these issues as well. They’d be interested because it’s a way they can get help and get insightful information on ways they can get through it. We could interview people who battle with depression. We could also interview students who go to our school and are dealing with these issues. We could also interview people who are comfortable with sharing their stories who have tried to commit suicide in the past or have gone through hard times with depression. There are many organizations that support teens going through anxiety and depression, or even substance abuse, for example, Expert DBT/CBT care in the Upper East Side for Teens and Adults. There is also a SPTSUSA (Society for the Prevention of Teen Suicide) , nonprofit organizations trying to help teens build themselves up and become better people. Being that topic is based on teens, middle schools, and high schools or even colleges would be good places to video tape to get strong images. We can speak to counselors and or teachers, parents, and siblings that have lost someone to a suicide . Another place would be a group counseling for people who have actually tried committing suicide or are going through anxiety and depression. Poetry would be a great way to describe ideas to express feelings on this topic. Poetry always has keys and clues to the hurt behind it all. Poetry is a different way to express yourself. it could bring out a new way to explain yourself. Poetry has more emotion being able to let it out or make a scene of it with words is something different. Emotional Health by Anais is licensed under a Creative Commons Attribution-ShareAlike 4.0 International License. People's experiences with police misconductWhat Is Education to a Democracy? am very impressed about the post “ Emotional Health” because I learned about depression and anxiety. Its an interesting topic to learn more about especially when you deal with it a little yourself . One sentence that stands out to me the most is “Another place would be a group counseling for people who have actually tried committing suicide or are going through anxiety and depression.” I think this is important because it shows us how teens escalate to where they attempt to hurt themselves. i agree with this topic because , there are alot of young kids going through alot at home and in school and sometimes kids need help and need someone to talk to and i think this topic will make kids feel better about themselves , kids that go through that really would make silly decisions like commit suicide . I am happy that you guys are addressing this topic because depression is an everyday problem. Also a quote that stands out for me is There is also a SPTSUSA (Society for the Prevention of Teen Suicide) , nonprofit organizations trying to help teens build themselves up and become better people. I think this is amazing because people need help and it is good that their is a society that can help them not to commit suicide. This stood out for me because my friend had a friend who commit suicide because of depression. anais although we did this topic together , i love how you brought your personal situation into because it takes a lot for people to vent on their personal issues especially depression and anxiety , quite frankly i can relate because unfortunately im still struggling finishing high school and i let that and all my personal issues get the absolute best of me and i stopped showing up for about 2 years , i started going to work late and smoking heavily to maintain just my thoughts that were to much for me , i had to pick myself up and screw my head on straight , i built a better relationship with my siblings and parents and now at 18 i’m doing way better than i was doing at 16 and 17 . I am happy knowing why we should be doing this topic. Your post tells a lot how teen are suffering from depression. One sentence you wrote that stands out for me is “10 to 15 percent of teens in the U.S. deal or have dealt with depression, 30 percent of teenagers with depression develop a substance abuse problem, and anxiety affects 25 percent of all teens.” I think this is great to know because lots of people wouldn’t know the percents of teen being depress. Hello Anais, I agree that this topic about anxiety and depression is an important matter. Your ideas of ways to help people with anxiety and depression are great. I appreciate you making this topic personal, it makes me understand on a more deeper level and it encourages me to try and help those who feel this way. I didn’t know much about people with these symptoms, but your topic had me research about it and I learned that this issue is not an easy situation. From http://www.health.com/health/gallery/0,,20452135,00.html#talk-about-it I learned how to interact with those who have anxiety and depression, I also learned from https://www.rd.com/health/wellness/things-to-never-say-to-someone-with-depression/ of ways to help without being condescending. I believe there should be assemblies for people like me who do not understand the complexity of human emotions of those who feel depressed. These assemblies can help those who feel these emotions more confident in seeking help from their peers, knowing that they have learned and understand what they are going through. How do you plan on carrying out your ideas of incorporating programs into schools for those who feel anxiety and depression? I’d like to hear more about your ideas, your topic was very educating to me.